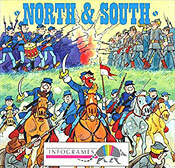 The war of aggressive northerners. Evek, Ferr, Maxwell Adams, Pipes!, and Bizzaro Pipes! Dog dickery. Ferr is South Evek is North.